Physician Partners of America Pain Relief Group is proud to announce that Daniel Shalev, M.D., will join its interventional pain management practice in Carrollton on Monday, Dec. 4. He was among the first physicians in the Dallas-Fort Worth area to perform spinal cord stimulator and pump implants. He has performed hundreds of spinal cord stimulators, and peripheral stimulator trials and surgical implants since the 1980s. In more than 30 years of practicing anesthesiology and pain management, Dr. Shalev has founded and managed pain management practices, has been active in clinical teaching and lecturing, and his research has been published in many scholarly journals. Born in Israel, Dr. Shalev earned his medical degree from Sackler School of Medicine at Tel-Aviv University, and completed his internship and an anesthesiology residency at Meir General Hospital in Kfar Saba, Israel. After immigrating to the United States, he completed a second anesthesiology residency at Montefiore Hospital and Medical Center in Bronx, New York. 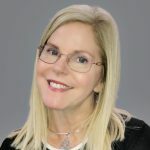 Dr. Shalev went on to do Critical Care training at Montefiore and a Pain Management Fellowship at the Pain Center at the Department of Anesthesiology, University of Virginia Medical Center in Charlottesville. He spent nearly ten years teaching Pain Fellows in a variety of procedures in a private practice Pain Management Fellowship. He and his wife have four grown children and four grandchildren. In his spare time, he enjoys many activities including mixed martial arts, tennis, scuba diving, travel, music, and movies. 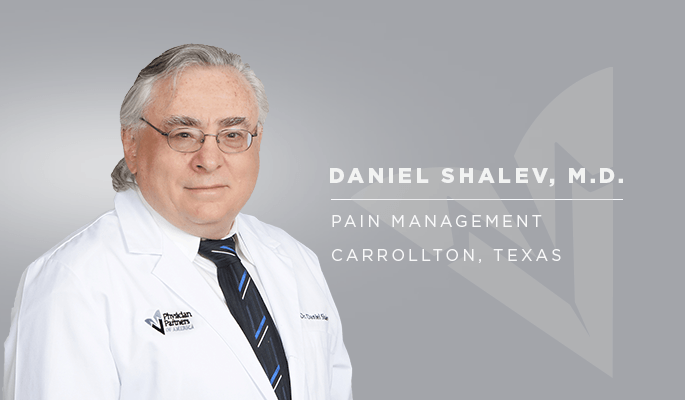 Patients can make an appointment with Dr. Shalev at the clinic, 4100 Fairway Court, Suite 100, Carrollton, Texas, 75010, by calling 469-298-1439. The clinic is open from 8 a.m. to 5 p.m. weekdays, with same-day appointments available.